Mr J has been keeping all his “monies” in a little Altoid tin. Luck has been with him lately and he has found many coins while we were out shopping, in the couch and who knows where else? His little money collection has outgrown the tin. We’re not sure what he is saving his coins for. It’s great to see him taking an interest in money and we have begun to teach him what each of the coins are. 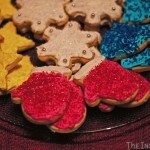 The little people in your life might not have a special jar to keep their money in yet. 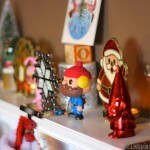 This easy DIY craft can also make a terrific last minute gift. 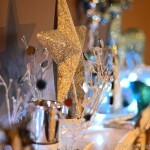 For those who like to spend, save, and donate, consider using 3 smaller jars to create a collection. 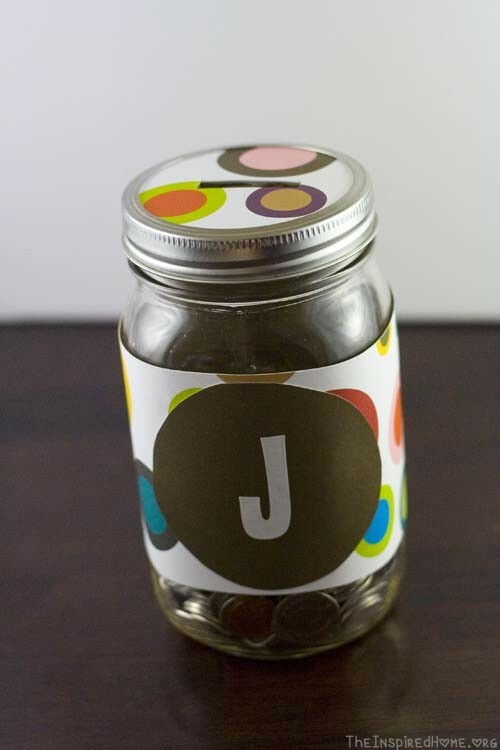 Tape the other circle on the front of the label and add an alphabet stickers to personalize. 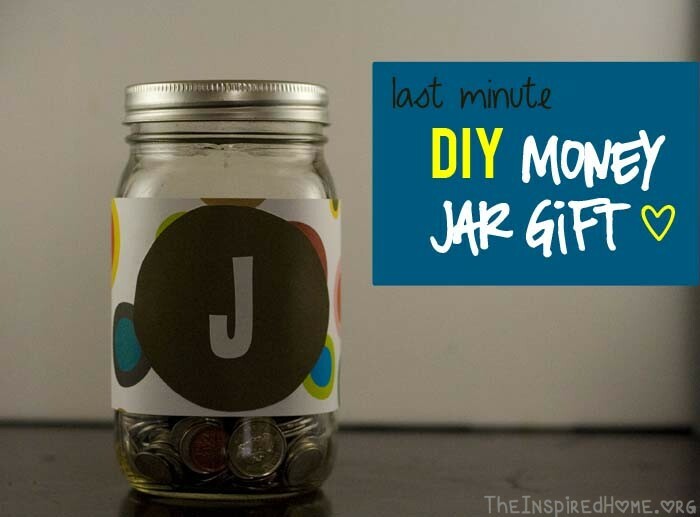 Affix the long label to the jar. 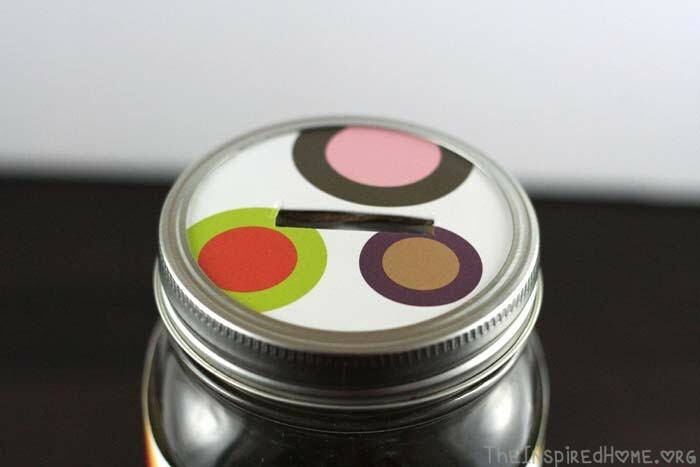 Put the cardboard circle on the top of the jar and screw canning lid around it. Follow The Inspired Home's board Gift Giving on Pinterest.